These are two that I made Jan and Feb but with all that has gone on didn't get off the camra untill today. So I thought I'd show them any way. This is the one for Fran. Get Well wasn't the right words. Re: A couple I've made. 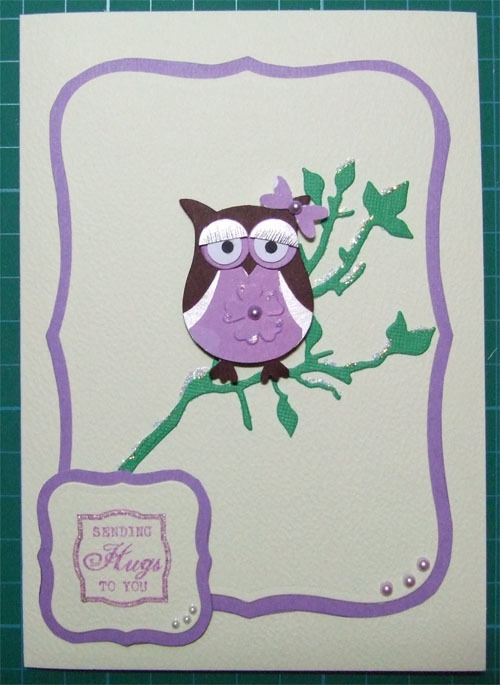 Cute owl, I have some of that floral purple paper, might have to use it sometime! The owl is cute, ideal to cheer someone up, and the top one is really lovely. Smashing cards. Loving the owl. 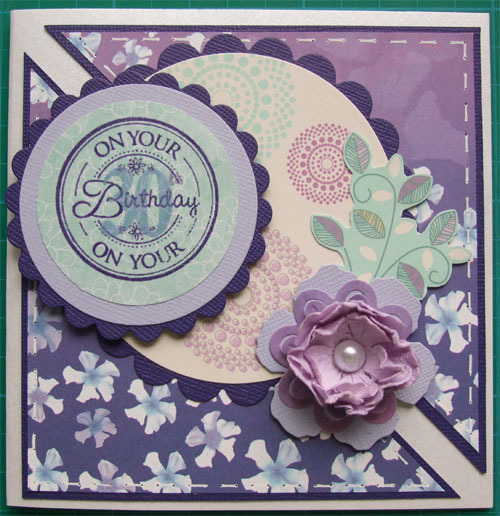 Both lovely cards Alison, especially like colours of top one. Lovely cards, the owl one is so cute.